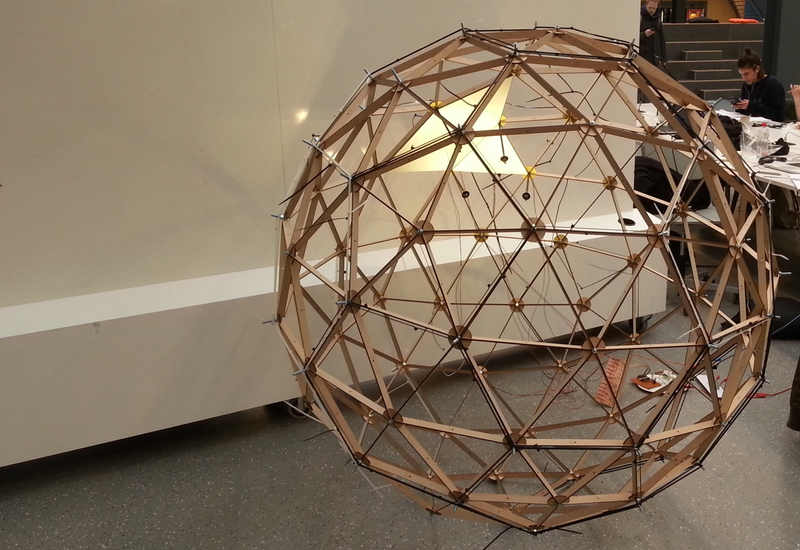 The dome is the outcome of a lighting design course. 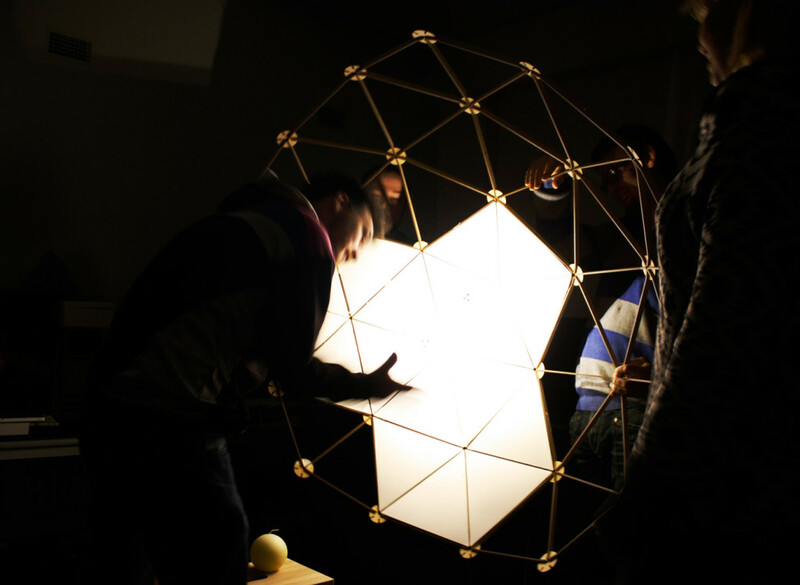 The lighting researchers at the faculty of IDE, TU Delft, currently have two installations to experiment with either directional lighting or diffused lighting. The lighting dome combines those two types of lighting in one system that is able to light any object at the center of the dome from 360 degrees. With this the researchers can create innumerable lighting scenes with combinations of directional and diffused lighting from any direction. The assignment was to design a multifunctional research installation that combines diffused lighting and directional lighting in 360 degrees around an object in the center. With this the researchers would be able to set any preferred lighting scene using single or multiple light sources emitting diffused or directional light. The initial concepts were either too cumbersome, expensive or unpractical for the objective. Directional lighting is not the issue, as it can be a singular light source emitting its light into one direction. The diffused light however needs to be scattered and has to behave as surface that emits light. The inspiration for the final concept came from the photography industry. The umbrellas used for flash photography reflect and scatter the flash to create a soft diffused lighting effect. This effect is recreated by coating a dome on the inside and placing lamppost-like lighting fixtures that shine towards the coating. The lamppost has a second light pointing inwards for directional lighting. 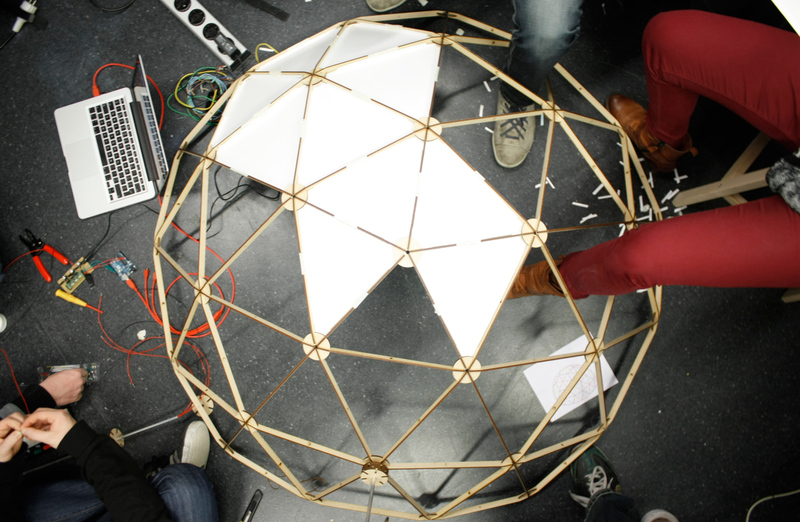 The project resulted in a geodesic dome with lighting fixtures at the connections of the ribs. 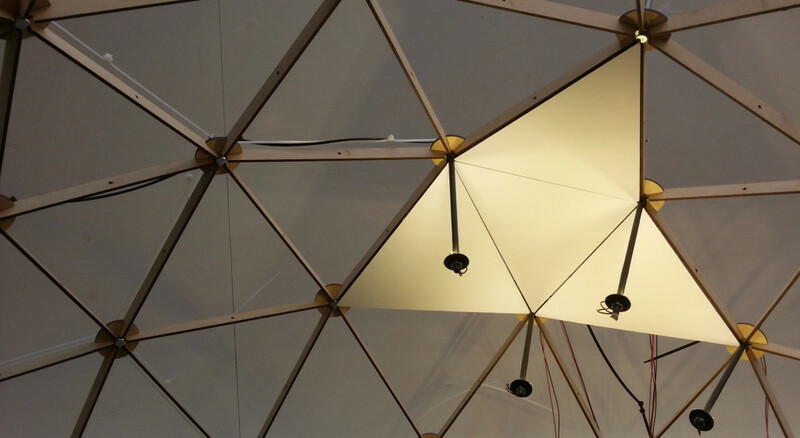 The prototype was lasercut out of wood and uses plain white paper triangles to reflect the light. The lampposts are made out of aluminium and have four high-power LEDs: one pointing inwards for directional lighting, three pointing outwards for the diffused lighting. The two types of light of every single lamppost can be controlled individually and that allows to create innumerable lighting scenes.